Just as [Donald] Trump cannot seem to utter "the African Americans" sans "inner city," [Rachel] Dolezal's conception of blackness is steeped in a fetishizing of struggle, pain and oppression. Opting into the struggle is yet another place where her whiteness acutely rears its head. The choice to take on a racial mantle at will is a mark of white privilege; so, too, is the choice to take it off when it suits. Ironically, then, in manifesting her blackness she most flagrantly manifests her whiteness. Baz Dreisinger, "When saying you're black and being black are two different things," The Washington Post, March 24, 2017. https://www.washingtonpost.com/opinions/when-saying-youre-black-and-being-black-are-two-different-things/2017/03/24/d41a6590-0a4b-11e7-93dc-00f9bdd74ed1_story.html. Tucked away in an isolated part of Bolivia, there is a royal family whose existence is as surprising as it is humble. 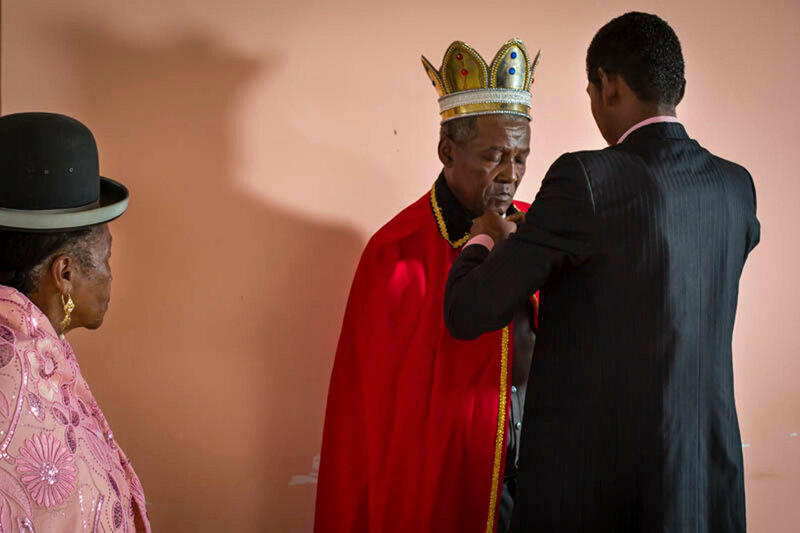 Despite his title, King Don Julio I and his wife live in a small apartment atop a small store in Mururata, Bolivia, where he farms coca leaves and other crops. …Ms. Giron said that a historian who purchased the old hacienda — where the Pinedos had taken the names of the slave owners — learned about the royal connection to Africa and set about to find an heir. His efforts, she said, led him to Julio Pinedo, who was named king in 1992. Read the entire article and view the slide show here. Latin American elites authored and disseminated ideologies of mestizaje or race mixture, but does the general population value them today? Using the 2010 Americas Barometer, we examined public opinion about mestizaje in Bolivia, Brazil, Colombia, Dominican Republic, Ecuador, Guatemala, Mexico and Peru using survey questions that modeled mestizaje both as a principle of national development and as tolerance for intermarriage with black or indigenous people. We found that most Latin Americans support mestizaje, although support varies by country and ethnicity. Across countries, we find partial evidence that the strength of earlier nation-making mestizaje ideas is related to support for mestizaje today, and that strong multicultural policies may have actually strengthened such support. Ethnoracial minorities showed particular support for the national principle of mestizaje. Finally, we discovered that the national principle of mestizaje is associated with more tolerant attitudes about intermarriage, especially in countries with large Afro-descendant populations. Ideas of mestizaje, or race mixture, are central to the formation of many Latin American nations and are assumed to predominate in much of the region today (Hale 2006; Holt 2003; Telles 2004; Wade 1993). Concepts of mestizaje stress racial fusion and the inclusion of diverse racial elements as essential to the nation; hence mestizos, or mixed-race people, are considered the prototypical citizens. Although racial hierarchies characterize Latin American socioeconomic structures (Telles, Flores, and Urrea-Giraldo 2010), ideas of mestizaje have stood in contrast to ideas of white racial purity and anti-miscegenation historically held in the United States (Bost 2003; Holt 2003; Sollors 2000). While ideas of mestizaje emerged as Latin American state projects in the early twentieth century, they are often hailed as widely shared ideologies that are central to Latin Americans’ understanding of race and race relations (Knight 1990; Mallon 1996; Whitten 2003). Despite Latin America’s diverse racial composition and the fact that an estimated 133 million Afro-descendant and 34 million indigenous people reside there, according to recent data—numbers far higher than in the United States (Telles, forthcoming)—racial attitudes in Latin America have, surprisingly, been understudied. Despite clues from ethnographic research, we lack nationally representative evidence on the general population’s feelings about mestizaje. In this article, we examine support for mestizaje and its variations across nation and ethnicity in eight Latin American countries with large nonwhite populations: Bolivia, Brazil, Colombia, the Dominican Republic, Ecuador, Guatemala, Mexico, and Peru. These countries represent more than 70 percent of Latin America’s population and are home to the vast majority of both Afro-descendants and indigenous people in the region. We focused on two dimensions of the mestizaje ideology: as a national development principle and an individual intermarriage principle. The first, which is closely related to the national narratives developed by elites during nation making, maintains that race mixture is good for the nation. The second addresses tolerance for intermarriage in one’s family—often considered the ultimate marker of racial and ethnic integration (Alba and Nee 2003; Gordon 1964). We use two measures of race and ethnicity – ethnoracial self-identification as used by national censuses and interviewer –rated skin color to examine educational inequality in eight Latin American countries: Bolivia, Brazil, Colombia, Dominican Republic, Ecuador, Guatemala, Mexico and Peru. We find that inequality based on skin color is more consistent and robust than inequality based on census ethnoracial identification. Census ethnoracial identification often provided inconsistent results especially regarding the afro-descendant populations of Colombia, Ecuador and the Dominican Republic. Skin color inequality was particularly great in Bolivia and Guatemala. Parental occupation, a proxy for class origins, is also robust and positively associated with educational attainment. In other words, both class and race, especially as measured by skin color, predicts educational inequality in Latin America. For the first time, most Latin American censuses ask respondents to self-identify by race or ethnicity allowing researchers to examine long-ignored ethnoracial inequalities. However, reliance on census ethnoracial categories could poorly capture the manifestation(s) of race that lead to inequality in the region, because of classificatory ambiguity and within-category racial or color heterogeneity. To overcome this, we modeled the relation of both interviewer-rated skin color and census ethnoracial categories with educational inequality using innovative data from the 2010 America’s Barometer from the Latin American Public Opinion Project (LAPOP) and 2010 surveys from the Project on Ethnicity and Race in Latin America (PERLA) for eight Latin American countries (Bolivia, Brazil, Colombia, Dominican Republic, Ecuador, Guatemala, Mexico and Peru). We found that darker skin color was negatively and consistently related to schooling in all countries, with and without extensive controls. Indigenous and black self-identification was also negatively related to schooling, though not always at a statistically significant and robust level like skin color. In contrast, results for self-identified mulattos, mestizos and whites were inconsistent and often counter to the expected racial hierarchy, suggesting that skin color measures often capture racial inequalities that census measures miss. Embodying Belonging is the first full-length study of a Okinawan diasporic community in South America and Japan. Under extraordinary conditions throughout the twentieth century (Imperial Japanese rule, the brutal Battle of Okinawa at the end of World War II, U.S. military occupation), Okinawans left their homeland and created various diasporic communities around the world. Colonia Okinawa, a farming settlement in the tropical plains of eastern Bolivia, is one such community that was established in the 1950s under the guidance of the U.S. military administration. Although they have flourished as farm owners in Bolivia, thanks to generous support from the Japanese government since Okinawa’s reversion to Japan in 1972, hundreds of Bolivian-born ethnic Okinawans have left the Colonia in the last two decades and moved to Japanese cities, such as Yokohama, to become manual laborers in construction and manufacturing industries. Based on the author’s multisited field research on the work, education, and community lives of Okinawans in the Colonia and Yokohama, this ethnography challenges the unidirectional model of assimilation and acculturation commonly found in immigration studies. In its vivid depiction of the transnational experiences of Okinawan-Bolivians, it argues that transnational Okinawan-Bolivians underwent the various racialization processes—in which they were portrayed by non-Okinawan Bolivians living in the Colonia and native-born Japanese mainlanders in Yokohama and self-represented by Okinawan-Bolivians themselves—as the physical embodiment of a generalized and naturalized “culture” of Japan, Okinawa, or Bolivia. Racializing narratives and performances ideologically serve as both a cause and result of Okinawan-Bolivians’ social and economic status as successful large-scale farm owners in rural Bolivia and struggling manual laborers in urban Japan. As the most comprehensive work available on Okinawan immigrants in Latin America and ethnic Okinawan “return” migrants in Japan, Embodying Belongingis at once a critical examination of the contradictory class and cultural identity (trans)formations of transmigrants; a rich qualitative study of colonial and postcolonial subjects in diaspora, and a bold attempt to theorize racialization as a social process of belonging within local and global schemes. Mestizaje refers to the process of cultural, ethnic, and racial mixture that is part of cultural identity in Latin America. Through a careful study of fiction, political essays, and visual art, this book defines the meaning of mestizaje in the context of the emergence of a modern national and artistic identity in late-19th- and early 20th-century Bolivia. The different strategies of resistance deployed by discriminated ethnic groups in Brazil, Peru and Bolivia are analysed here. 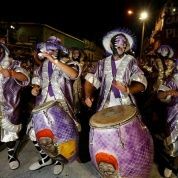 In Brazil, Afro movements and indigenous populations are increasingly fighting against discrimination and developing their cultural identities, while demystifying the idea of Brazil’s national identity as a racial democracy. In Peru and Bolivia, indigenous populations are challenging the generally accepted idea of integration through miscegenation (racial mixing). Assimilation through race-mixing has been the apparent solution in most Latin American countries since the building of the nation states. Its positive side is that a peaceful interethnic relationship has been constructed but its negative side, stressed in recent multicultural strategies, is that different ethnicities and cultures have been accepted only as parts of this intermingling and rarely recognised as the targets of discrimination.